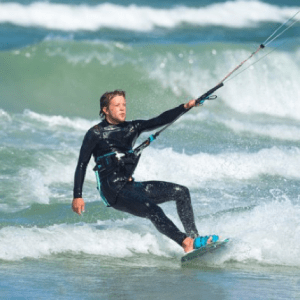 Kitesurfing is the water-based side of kiteboarding, an exciting water sport that utilises the power of the wind to move the aspiring participant on a board across the water and in other cases across land or even snow! 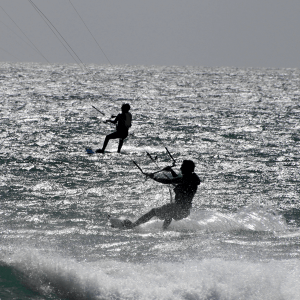 There are many different disciplines within kitesurfing such as racing, wave riding, freeride, freestyle and more recently hydro foiling. 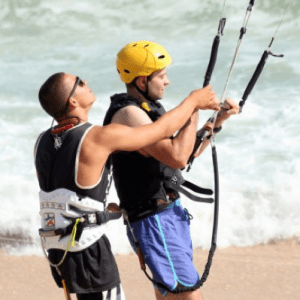 However, like any extreme sport you need to take bunny steps to start, usually under the watchful eye of a trained professional and for this reason “Get Kiteboarding” was formed. 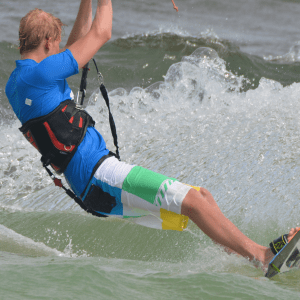 We are an internationally recognised school of kitesurfing with relevant know how and experience to get you started in this great sport. Well, first off, you need safe, guided supervision and according to your budget, you have several options here. Ideally, we would recommend 2 to 3 days of training followed by private tuition but recognising that some people are not so sure if this is for them, we also have a 1 day option available. We usually run 1, 2 or 3 day group training options during the weekends and private sessions during the week. However, upon request we will try to accommodate if you wish to train privately on the weekends and/or if you have a large enough group (3 persons minimum) we may run group sessions during the week too (you will need to email or call 07961 090218 if this is the case). EXPLORE AVAILABLE COURSES BELOW AND GET YOURSELF BOOKED IN.